Welcome home to this lovely Raised Ranch Mountain home located in beautiful Kings Valley. Home boasts main floor living, open floor plan, walk out basement, walls of windows flood the house with an abundance of Southern sunlight. 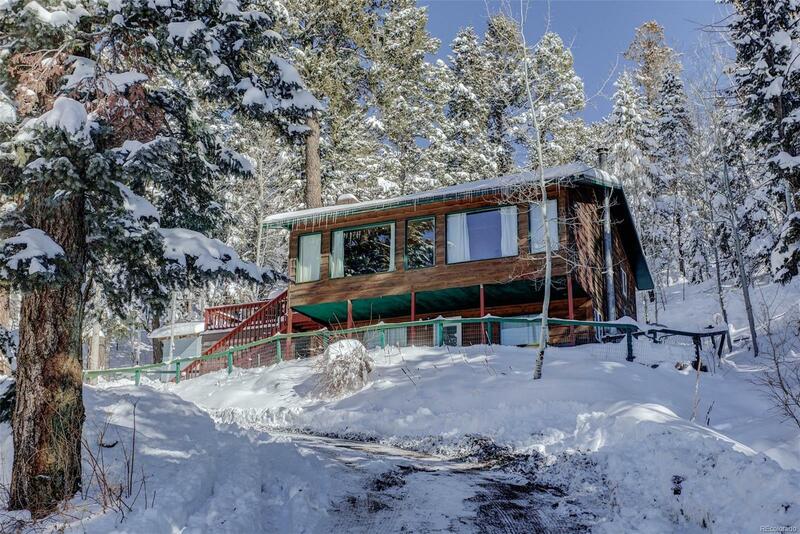 Main level has hardwood floors, two bedrooms, one full bath and a living room with a large private wood deck that allows for great entertaining and the serenity of peaceful mountain life while enjoying nature and gazing at the incredible views of Pikes Peak, Mt. Evans and the Continental Divide! The Lower level has a private entrance, large master bedroom with a huge walk-in closet, wood burning stove and a second bath. Home features remodeled bathrooms, a new roof, tankless hot water heater and new interior paint. The road is easily accessible and is on a bus route so very well maintained/plowed. Conveniently located to Staunton State Park, biking, hiking and snowshoeing trails. Just minutes from Hwy 285, shops, public transit, only 20 minutes to C-470.